I already reviewd another one of these when they came out in February - Mint Julips. But now we have Bubblegum! 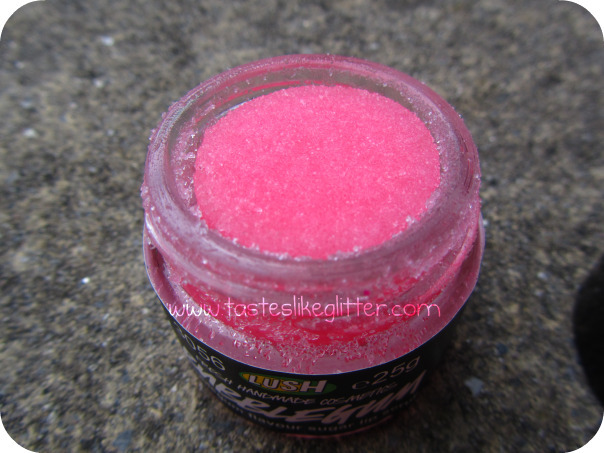 This one will make your lips smell like our best-selling Snow Fairy shower gel. Bubblegum is made with exfoliating castor sugar and our delicious vegan flavour to gently scrub away rough skin, keeping your lips smooth and kissably soft with the help of jojoba oil. I knew as soon as these came out it wouldn't be long before I got this one. I absolutely love Snow Fairy, which is back! Oh yes. It is back for Christmas but that's another post for another time. If you like sweet smelling things then this is for you, if you don't I suggest you stay well away. If you ever had the pleasure of catching a whiff of Snow Fairy then this is exactly how this smells. 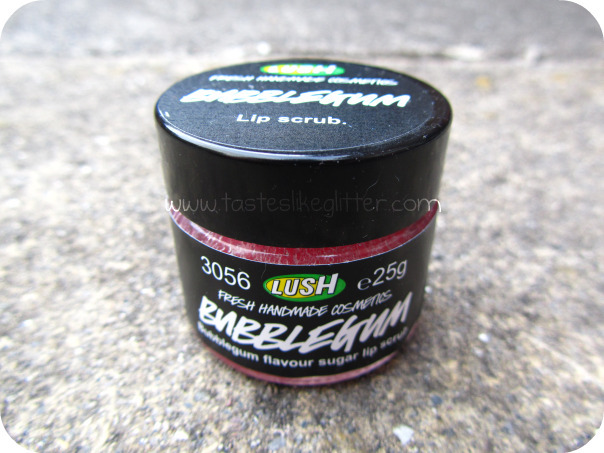 Very sweet, candy floss and bubblegum-y scent. I noticed last year it seems to have a love/hate view in the blogging community. I personally love it. Does it do the job? Well of course! It leaves my lips super smooth and it tastes delicious when you lick it off. Maybe a slight too sweet, if that's even possible?! But yummy nonetheless. They have a new sherbet one out for Christmas. Shall definetly be picking that one up. Have you tried these or have you found a cheaper alternative? Let me know.